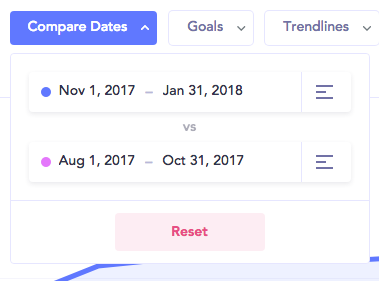 Compare Dates is a fantastic tool for seeing if your hard work is truly paying off. See if your retention campaign improved your churn rate, or your marketing campaign really did result in more customers, and much more. 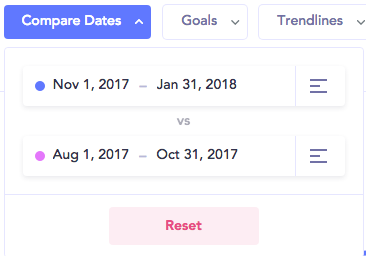 How do I use compare dates? 1. Click on Compare Dates in the toolbar. 2. Choose the two date ranges you wish to compare.